Britain signed a military cooperation agreement with Germany on Friday (5 October), emphasising London’s commitment to helping shield Europe from future security threats at a time when negotiations over its own exit from the EU are reaching a crunch time. 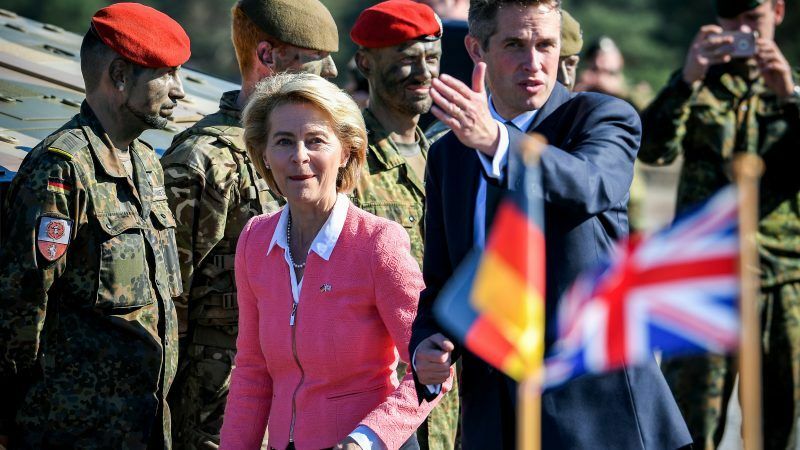 “Although we are preparing to leave the EU, our commitment to European security is resolute,” British Defence Minister Gavin Williamson said upon signing a ‘Joint Vision Statement’ with his German counterpart Ursula von der Leyen at a British army barracks in the western German town of Sennelager. “The statement signed today strengthens UK-German ties and bolsters the defence of two key NATO partners. This is an alliance we both hold dear,” Williamson added during his visit to Minden, Germany, where British troops are stationed. 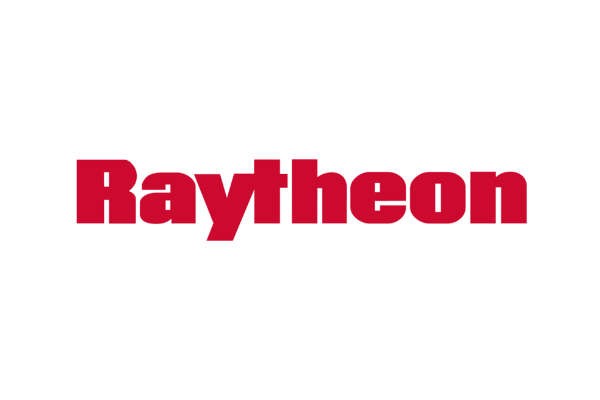 According to him, British military personnel will also stay in Germany to support NATO’s other critical infrastructure and assets, such as the combined river crossing unit based in Minden. 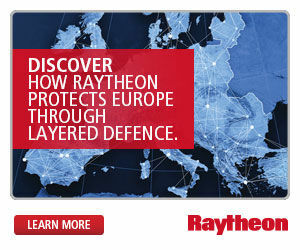 One of the British government’s strongest cards in Brexit negotiations is the expectation that, as the EU country with the highest defence spending, it will continue to play a central role in European security after it leaves the bloc. The common declaration involves provisions for joint efforts against terrorist threats and the avoidance of duplication in the European armaments sector. It also involves closer cooperation on aircrew training — both countries operate the Eurofighter, Typhoon and Tornado warplanes — and common plans to expand amphibious bridge-laying capabilities such as those demonstrated during the visit to Minden. “We will further strengthen the European pillar in NATO, contribute to European security and improve Europe’s resilience to security threats,” the joint document states, in which Brexit is not mentioned at all. “We are determined to deepen and strengthen our relationship in order to achieve our common defence and security goals,” the agreement said. Naval, land and air forces would work closely together and there would be cooperation in defence procurement. “It is very important that within PESCO, third-party states who we want to keep at our side have the ability to participate in projects in an uncomplicated way,” von der Leyen said, adding that third-country participation in CSDP missions should “certainly also remain a possibility”. EU leaders pledged in Brussels on Thursday to intensify efforts to strengthen military cooperation within the bloc and reduce its reliance on the United States, amid growing doubts over the continued US involvement in transatlantic security. 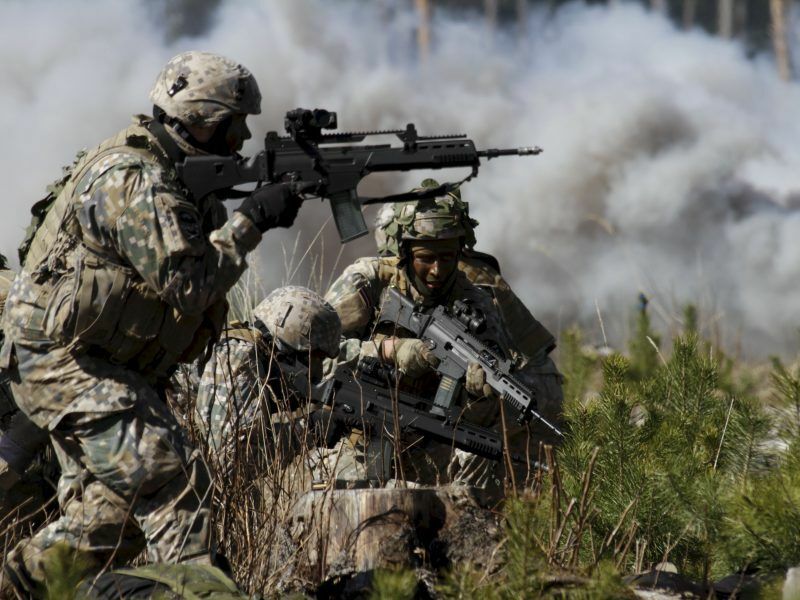 Under the EU’s PESCO (permanent structured cooperation) programme started in late 2017, 25 countries committed troops to EU battle groups and vowed to launch projects that enhance the interoperability of their armed forces. At present, it includes 17 joint projects on different capability areas. A third set of projects inside the PESCO framework is expected to be agreed upon next month, possibly including the option for third-parties to participate through the PESCO framework.